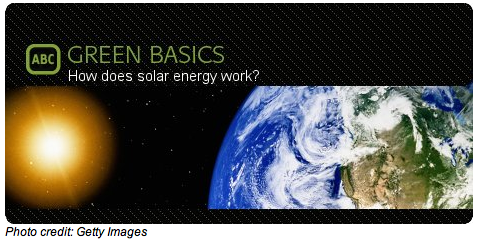 Snowboard Green: How Does Solar Energy Work? For as long as our planet has spun 'round the sun, there's been solar energycascading down on the earth, and, for a long time -- since the 7th century B.C., when glass was used to magnify it -- humans have been working to harness it. These days, technology is a bit better, providing electricity, heating, lighting, and even flight, but the point is the same: use the sun's warm glowing warming glow for our benefit. Outside of the three scenarios above, solar energy usually requires a little human input to really work (photosynthesis, which helps grow crops for food and fuel, is a notable exception). This help can come in lots of different forms, from architecture and urban planning, which uses techniques to maximize light and heat from the sun to our benefit in our buildings, to solar thermal, the most widely used category of solar energy technology, including solar cooking, water distillation and purification and lots more, toheating water for our use and desalination. But, by far, solar energy's most talked-about use is electricity generation. 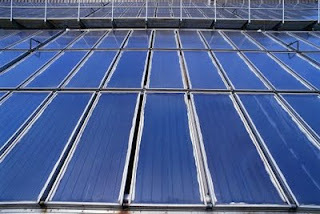 For now,photovoltaic (PV) cells and panels remain the most-used method for turning sun into electricity. Basically, photovoltaics cause photons from sunlight to knock electrons into a higher state of energy, creating electricity. 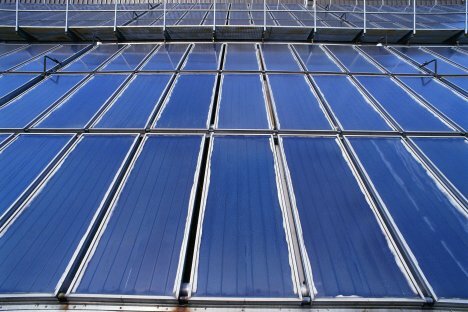 Photovoltaic production has been doubling every two years, increasing by an average of 48 percent each year since 2002, making it the world’s fastest-growing energy technology. Together, solar energy and solar power is a huge, and hugely popular, topic here at TreeHugger. It seems like every week we're reporting the largest solar farm ever orefficiency breakthroughs for converting it to electricity. We even have a whole category dedicated to solar, but if that isn't enough to quench your thirst for sun-powered knowledge, check in with the International Solar Energy Society, the American Solar Energy Association, the Canadian Solar Industry Association and the Mexican Solar Energy Association, for starters (there's also the European Solar Thermal Industry Federation, of course). And stay tuned for more, much more, on the wonderful world of solar. Reliability and consistency is a significant importance of renewable energy resources. Atmospheric conditions and geographical locations make a huge impact on the efficacy of these energy sources.